A new farm bill that will be the focus of US House and Senate agriculture committees in coming months should include pro-animal measures such as tougher controls around horse soring, the Humane Society of the United States (HSUS) says. 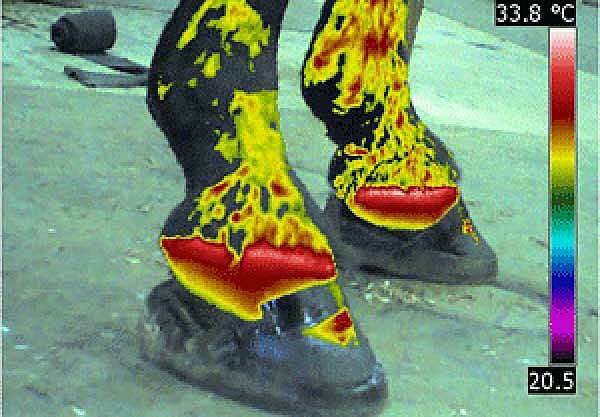 Horse soring, the use of chemical and mechanical irritants to encourage the high-stepping “Big Lick” gait favored by some sectors of the walking horse industry, has been illegal for nearly 50 years, but welfare advocates believe the current ban does not go far enough and want tougher measures. They have been pushing to have the Prevent All Soring Tactics (PAST)) Act passed by legislators. The acting president and chief executive of the HSUS, Kitty Block, in her blog A Humane Nation, says the bill has the potential to affect the lives of millions of animals. She said the society, together with the Humane Society Legislative Fund, are pressing for the bill package to include key provisions on horse soring, animal fighting, the trade in dogs and cats for human consumption, and domestic violence against pets. She noted that a group of 40 Republican and 40 Democratic representatives recently wrote a letter to House agriculture committee leaders, urging that the bill include such pro-animal measures. Block said the inclusion of the PAST Act in the farm bill package would close loopholes in the 1970 Horse Protection Act that have enabled horse soring to persist. “It would,” she noted, “also end the failed system of industry self-policing, ban the devices used in the soring process, and strengthen penalties against offenders — all without additional taxpayer burden. “PAST has the overwhelming support of the horse industry and 280 cosponsors from both sides of the aisle in Congress,” she added. Block said one of the society’s priorities this year was to defeat a bill that she described as an assault on states’ rights and their ability to create and enforce a wide range of laws, including those relating to animal protection and food safety. “Its sponsor, Rep. Steve King, R-Iowa, pushed for similar legislation during the last Farm Bill debate, but we were able to mobilize broad opposition and keep it out of the final House/Senate package. We’re working to do the same thing this time around, and have already marshaled a diverse set of opponents. “King’s legislation, H.R. 4879/H.R. 3599, could completely undermine the authority of states to pass laws to protect animals and their citizens, and could mean that if one state tolerates the way a particular agriculture product is manufactured or produced — no matter how hazardous the product or unacceptable the production process — every other state may have to do so as well. She urged the public to contract their federal lawmakers to ask them to reject King’s “egregious legislation” and do all they can to have the Farm Bill include the PAST Act, the PACE Act on animal fighting, the Dog and Cat Meat Trade Prohibition Act, and the PAWS Act on domestic violence against pets. The SAFE Act, HR113/S1706 to stop horse slaughter also needs to be passed.